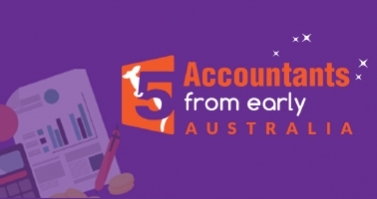 This post is dedicated to remembering the pioneers of Accounting in Australia. Stay with us while we pull out the names of 5 accountants from the bygone era! Early accountants in Australia were pivotal in shaping the Australian economy. They used sharp accounting skills in varied pathways of their career ranging from the wool industry to politics! Accountants from early Australia were powerful, knowledgeable action-takers who believed their skills could bring positive reform, if given voice.Early Australia also saw its share of FemaleAccountants! In the wake of World War II when men joined forces, the able women of Australia were encouraged to move into commercial accounting. Around the 1950s and 1960s, Australia actively changed perspectives and pushed the women to consider accounting as a career! Without further ado, let’s dive into the actual list. John MacArthur and his wife Elizabeth arrived in Sydney back in 1790, and are famous for introducing merino sheep to Australia. MacArthur is known as the Father of the Australian Wool Industry, but his accounting skills were in fact what made him a powerful presence in the colonial times. His accounting skills, in an era which hadn’t yet seen banks, made him and John Palmer realize as well meet the growing needs of the colonial communities! MacArthur started a long tradition of foreign investments in Australia by sending his compiled statements to British investors to show them insightful reports on how money could be made in Australia – thus shaping the Australian economy. Sir Alexander Fitzgerald started out as a clerk for a hardware merchant. With persistence and hard work, he studied accounting and paved his career to reach new heights. Fitzgerald’s academic career began at the University of Melbourne when they rolled out a commerce degree. Fitzgerald enrolled for the degree while also taking up a job as a lecturer in the University. Fitzgerald wrote as well as edited numerous accountancy texts, and was involved in many government inquiries. Following his royal commission, Fitzgerald’s accounting skills marked a steady improvement in government financial reporting. Sir Alexander Fitzgerald was a pioneer in bringing Accounting and Bookkeeping to the education front wherein Australian schools taught accounting to child pupils. Along with reading & writing, early Australian school-kids were taught arithmetic and bookkeeping (double-entry bookkeeping). Watch out for the next post where we attempt to outline the life, career, and accomplishments of the other 3 great accountants on our list! Meanwhile, Velan Super provides unsurpassed SMSF outsourcing services and if you’re looking for a reliable organization to support you with SMSF accounting, do connect with us! Stay with us and watch this space for a link to the next post.